You don't have to be Nosferatu, or whatever his name was, to predict that Liam Cooper will start for Chesterfield in their FA Cup, first round tie woth Hartlepool United at the Proact Stadium on Saturday November 3rd. The Hull City loanee joins a side in the grip of an injury and suspension crisis that has robbed it of two central defenders, so his selection can be taken for granted. Who was the last Chesterfield player to make a debut in an FA Cup tie? Usually, of course, these games are afforded an importance that would prevent their being used to give debuts to players. Tendayi Darikwa came off the bench to make his first first-team, competitive appearance against Burton Albion in the Cup a couple of years ago, and Mick Higginbottom made his first Spireite appearance as a sub against Burnley in 1983-4. There was a bit of an injury crisis at the club on the last occasion of a player making a full debut in an FA Cup match, and again a young centre-half was asked to step up to the plate. If Liam Cooper turns out to play half the number of games as Les Hunter, he'll have a pretty good career. 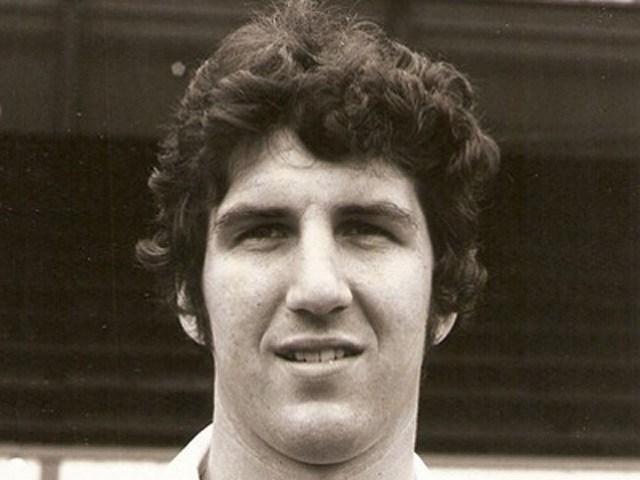 Les made his Chesterfield debut against Boston United in the first round in 1974-5 and went on to forge a Chesterfield career that ran to 286 full league appearances. Overall, he played 396 matches for ourselves, Scunthorpe and Lincoln City.